The roots of Against Me! 's rousing punk-folk sound lie in Tom Gabel's guitar-and-stool troubadourship around his native Gainesville, FL, beginning in 1997. The then 17-year-old Gabel performed as a solo act wherever anyone would have him, drawing much influence from early acoustic protest music. The band around him would eventually solidify by 2001 -- including guitarist James Bowman, drummer Warren Oakes, and bassist Andrew Seward -- and get considerably louder as punk bands often do. But there would always be some anarchism and Billy Bragg in the raucous braggadocio. After a few initial 12" and 7" releases, Against Me! issued the fan-favorite Reinventing Axl Rose through No Idea in 2002. The underground hit blended elements of punk, folk, and country into socially conscious and impassioned anthems for late-night basement shows and bars. Continuing their reputation of always being on the road, countless tour dates were played around the country. The slightly more polished As the Eternal Cowboy followed from Fat Wreck in 2003, and after a DVD (We're Never Going Home) and another 7", the band returned with their most mature effort to date, 2005's Searching for a Former Clarity. A subsequent headlining tour in support of the introspective and politically aggressive album saw the band proudly hitting every U.S. state. They signed to Sire Records in December 2005 and were back on the road by spring 2006 opening for the Alkaline Trio. That summer found Against Me! on the main stage at Warped Tour, their first time on the festival. Though the guys were officially now on the roster at Sire, they released the live album Americans Abroad!!! 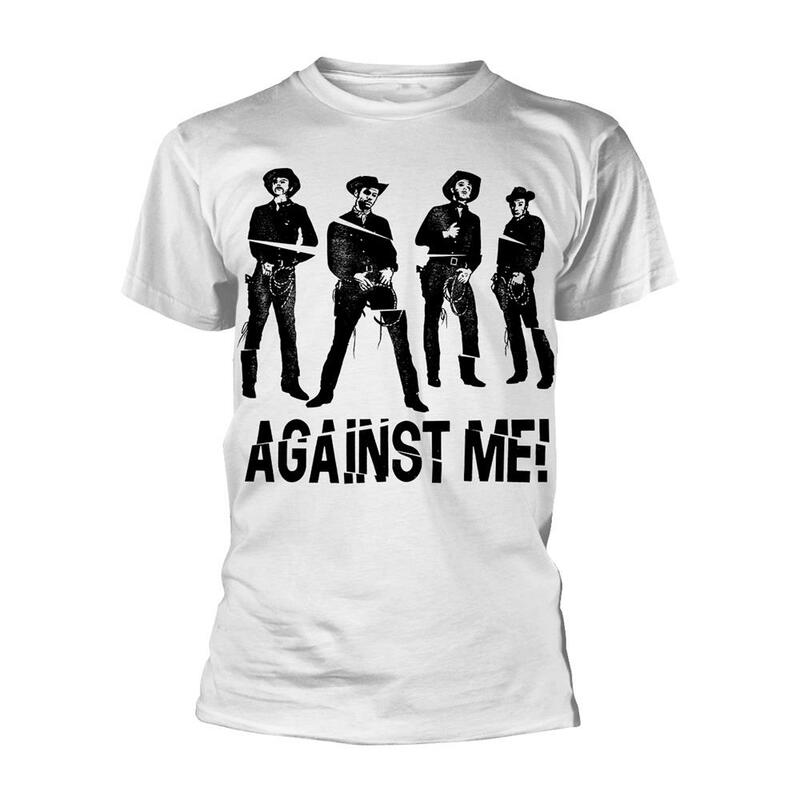 Against Me!!! Live in London!!! on Fat Wreck in August 2006. Recorded while on tour in London with Murder by Death, it harnessed the band's notoriously invigorating live show as well as any album could. Finally, in July of the following year, the band's major-label debut, New Wave, a decidedly more rock-oriented record produced by Butch Vig, hit shelves.